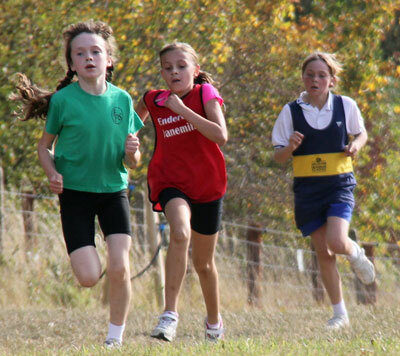 The Leicestershire Primary Schools Cross Country League is really rather special. Set up by George Smolinski and Dave Dewdney, the series established itself as the best in the land; winning an award from a national newspaper. 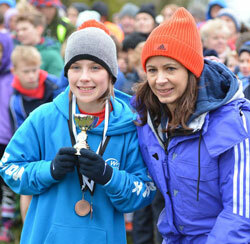 Each of the events regularly attracted up to 2000 youngsters from a wide range of City and County schools. When George took his well earned retirement, the responsibility for organising the League passed to the Network and the races entered a new and exciting era at Prestwold Hall. Although the series has launched many elite careers, the races are totally inclusive and we welcome and celebrate runners of all abilities. 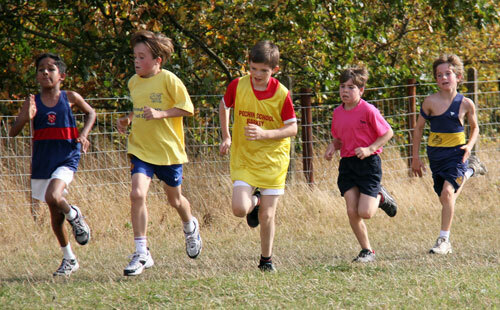 There are separate races for girls and boys from years 3 to 6 and for the younger ages, this may mean fields of around 300. Each race is lead by ‘hares’, who show the way, and followed by ‘tortoises’, who look after and encourage those at the back who may be finding it a bit of a struggle. Many of our young hares ran the series themselves and are keen to give other youngsters the same opportunities that they had. In 2015 we had our 100,000th finisher and and, thanks to sponsors Thule, a visit from four-time Olympian and reigning European 10,000m Champion Jo Pavey, who presented the prizes. Jo joined us in her capacity as ambassador for the National Year 5,6,7 finals which we staged at Belvoir Castle in March 2016. For more information and results, visit the dedicated PSXC website.